Who should you get to build your swimming pool? As much as we’d love to work with everyone in the beautiful land that is Scotland. We can’t! Eagle Leisure can only take on a limited number of swimming pool constructions a year. Plus, some of you are just too far away to make it feasible or economical for us to work together. So, who else in Scotland is worth the coveted title of ‘best swimming pool installer’. How to choose the best swimming pool installer? Building a swimming pool. It’s a pretty huge commitment. Not only is it expensive. But you are going to be working with your swimming pool installation company for a while. Years in the case some new builds. So you want to make sure you like them enough to put up with them. But most importantly you want to be able to trust that they will be around to finish the job. Unfortunately, disappearing as one company, and re-appearing under a different name a few weeks later is all to common in the swimming pool industry. If this happens, any money you have paid to that company is lost. Even although the job likely won’t be complete. And you will need to pay another company to build or complete your swimming pool. 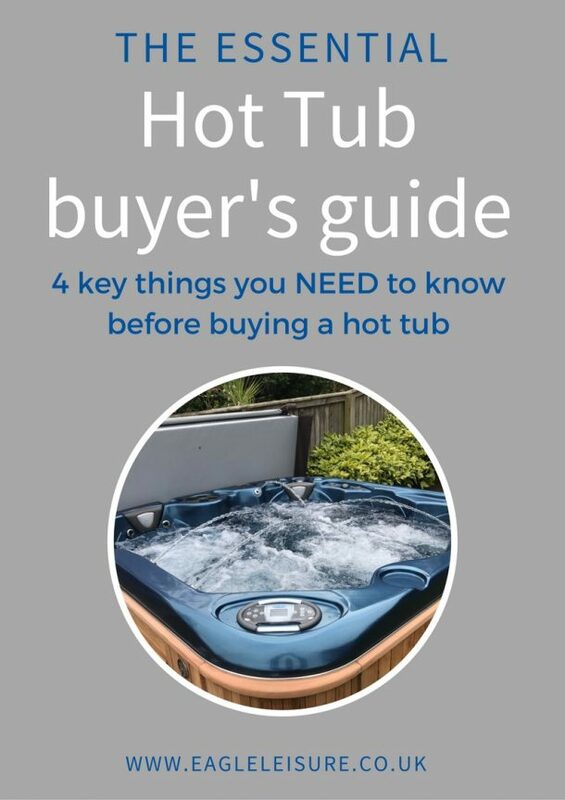 It makes for unhappy, stressed, and financially strained clients and the Scottish swimming pool industry as a whole suffers . And we don’t want that! What we do want is to make sure you choose reliable and trusted suppliers if you’re not working with us. Tips to choosing the best swimming pool installer? That’s what we’re here for. To help you find a ‘real-life’ reliable, trustworthy company that are great at what they do (not just great on reviews). Check with anyone you know that has had a pool built – if they loved or hated their company they will let you know. Use someone like company check to make sure their are financially solvent and will likely be around for to complete the project. Ps. Remember if the company is new, they will be starting from scratch. So take this with a pinch of salt. The company was registered last year, but has 40 years’ experience and loads of ‘past projects’. I smell a Phoenix company. Chances are they closed down and opened up under another name. They might have all those year’s of experience, but is it a company that you want to work with? You’re going to want the company to come out and see your site before they start building. But, first visit their home. This allows you to get a feel for their business, plus meet the project manager and decide whether you like and trust them. What other pool installers do we recommend in Scotland? 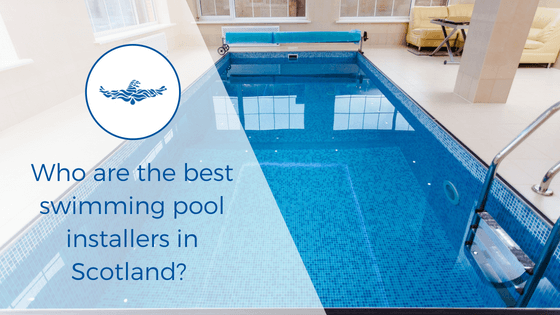 If you are faced with the decision of choosing another Scottish based swimming pool installer – who would we recommend? Who would we get to build our pool if we weren’t in business ourselves? It’s a pretty small industry, especially in little old Scotland – so reputation proceeds in most cases. And we’ve almost always done subsequent work on other installers pools at some point in time. Whether that be future servicing or in some cases repairs and refurbishment. None of our recommendations websites are quite as visually stunning as Eagle Leisures’ ;). But that’s not unsurprising in an industry that by in large hasn’t hit refresh since the early 80s. Still their professionalism and quality workmanship shines through, and we can hand on heart recommend these companies as fine examples of what the Scottish swimming pool industry has to offer. 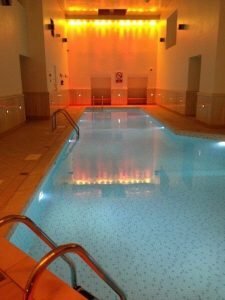 As the only other SPATA registered pool builder in Scotland (the other one is us), Aqua Leisure gets our recommendation. SPATA, is the swimming pool regulatory body, who periodically check pool builds to ensure they: look great; are high quality and above all are safe to swim in. 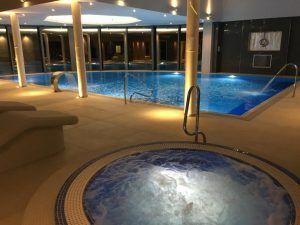 To top this accolade, Aqua leisure are pretty spectacular at what they do. And they have some stunning installations to prove it. They specialise in a range of different pool constructions including concrete and liner pools. So are well equipped to guide you towards choosing a pool construction that meets you needs and budgets. Barr + Wray have been giants of the Swimming Pool construction world since the 1950s, with offices in Glasgow, Dubai and Hong Kong (if anyone from Barr + Wray is reading this I would like to volunteer myself to relocate to Dubai or Hong Kong). Our MD, Joe, actually started his swimming pool career with Barr + Wray back in the day, and got his leg up in the industry when they shut down their residential pool department. Thus began the journey of Eagle Leisure, with Barr + Wray helping out by passing any former residential customers along. So, not only are they great at swimming pool installations, they are also a bunch of good guys and gals. Many of the people Joe worked alongside are still there, giving them an abundance of experience. But they’ve also not been shy in hiring new talent over the last couple of decades. Making them one of the leading pool installers, not just in Scotland, but in the world. Pretty impressive, right? Sadly, Barr + Wray don’t really dabble in residential pool builds these days, turning their hand to large scale pool design and filtration systems. But they get an honorary mention for being so bloody brilliant at what they do. And if you do ever get the chance to work with them – jump right in! They haven’t been around as long as some of the other companies., but don’t let that put you off. Between the two directors of the Lanark Pool Company (Trevor and Pam), have over 30 years’ experience in the swimming pool industry. And they employ a range of engineers and specialists to add to their array of skills. I’m gonna be honest, the fact that there is a female at the head of the The Lanark Pool company makes me value them even more. It’s still pretty unusual to see a female spearheading the estimating and project management side in the swimming pool industry. So, a bit of girl power makes this great company even better. The Lanark pool company specialises in concrete; liner and one-piece pools. And they even do above-ground pools if you are looking for a pool on the lower end of the budget. So, they can give you a completely unbiased opinion on what type of pool construction suits your needs and budget best. And once it’s built, they offer a full service maintenance package so you can continue to work together. Kinniburgh pools have melded together expertise in construction; mechanics and electrical services to create the perfect team for swimming pool installation. They deliver a true turn-key operation and take care of everything. They are based out of both Edinburgh and Aberdeen and so can easily work with clients across Scotland, and will even take on work across the rest of the UK. They construct a range of different pools including concrete and liner. And also specialise in Niveko one-piece pools, an economical pool with fast installation times and low maintenance requirements. These are the same one-piece pools supplied and installed by Eagle Leisure, so we can attest to their quality. In order to install these pools and maintain the warranty, the installing engineers have to be trained first hand by Niveko in the Czach Republic. We can’t win em’ all. But what we want is to ensure that every single person that decides to build a swimming pool uses the very best swimming pool installer they can. Hopefully this has helped you understand what you should look for. And give you a few places to start. What you should consider before installer a pool.